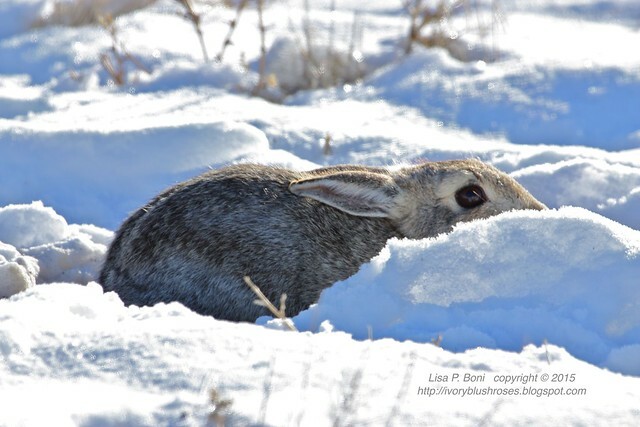 For a while now, I've been following a wildlife photography group here along the Front Range of Colorado. 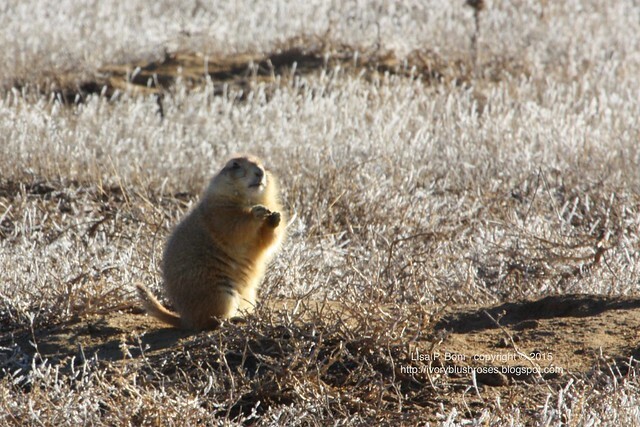 Some of the fabulous photographers there alerted me to the Rocky Mountain Arsenal National Wildlife Refuge. I had seen the signs for it and remember when they cleaned up what used to be a huge weapons arsenal on the northeast side of Denver, but I had never been there. It turns out that I drive very near it on my way to and from work, so last week, I decided to stop on my way home after my last night of work that week. I like to try and stay up that day so I can be more functional for the rest of my days off, but I always need something to keep me active and interested in order to do so! 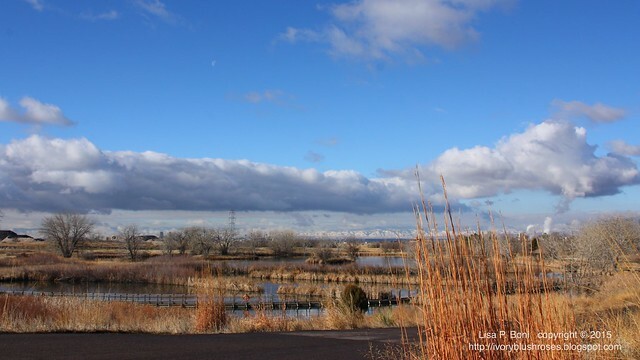 It was a beautiful warm mid-winter day with interesting clouds and some blue sky away from the hazy mountains. The view across some of the ponds was lovely. I sat here and watched two coyotes hunting in a field behind me and saw my first Northern Harrier hawk! 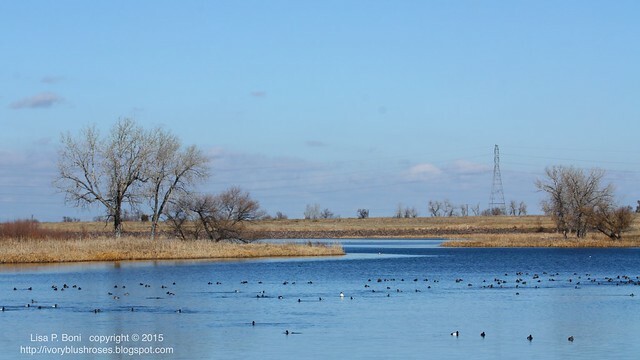 The drive through the refuge is about 9 miles long and takes one past many ponds filled with a nice variety of waterfowl. 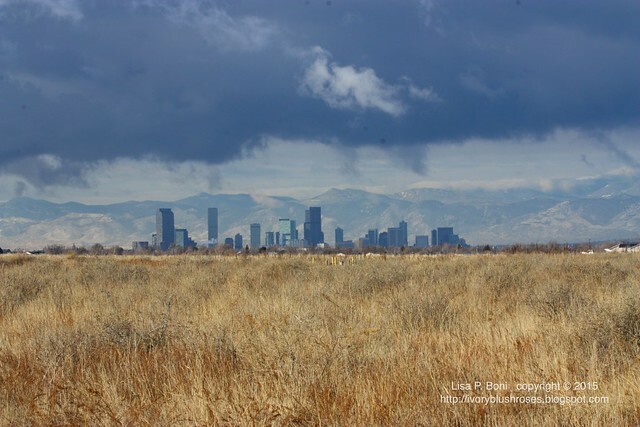 On the west end, a bit of open prairie looks back towards downtown Denver. a herd of enormous buffalo, lots of deer, both white tail and mule deer, and an ever changing variety of birds! I enjoyed it so much that I decided to repeat the drive on my way home this week. The bit of snow that Denver had this past week caused it to look much different! 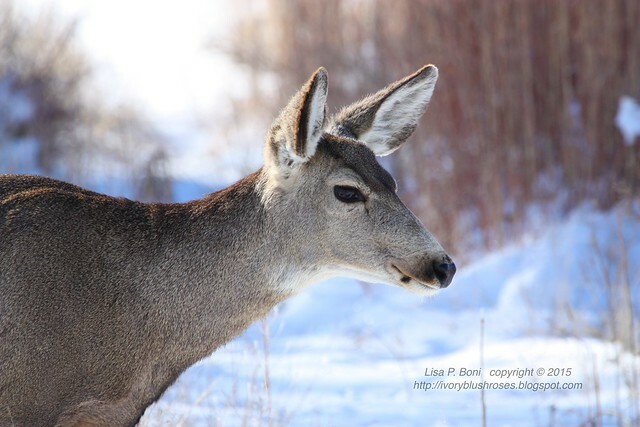 The deer were very active and I saw at least four herds of mule deer and one of white tail deer. This doe has a lovely face! 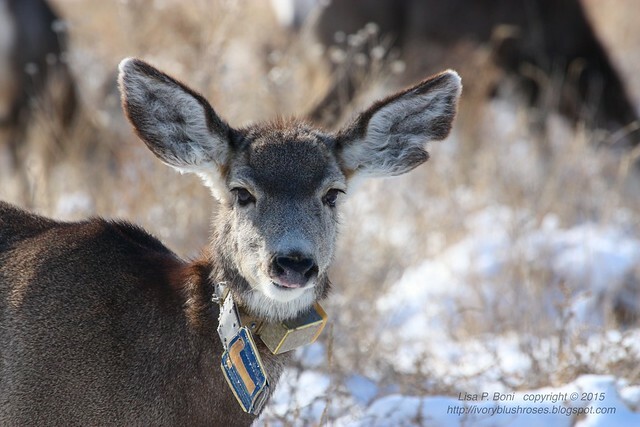 They have tagged a few animals in each herd to track their movements. Driving past one of the lakes, I had to stop and do some birdwatching. How wonderful to see these fun Hooded Merganzers! I had never seen them before, so quite a treat! 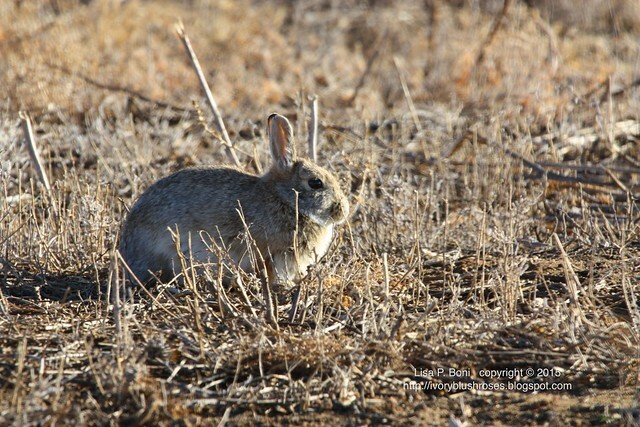 But the biggest joy of my morning was to watch the cottontails! This one thought she was hiding from me while enjoying the early morning sunshine. 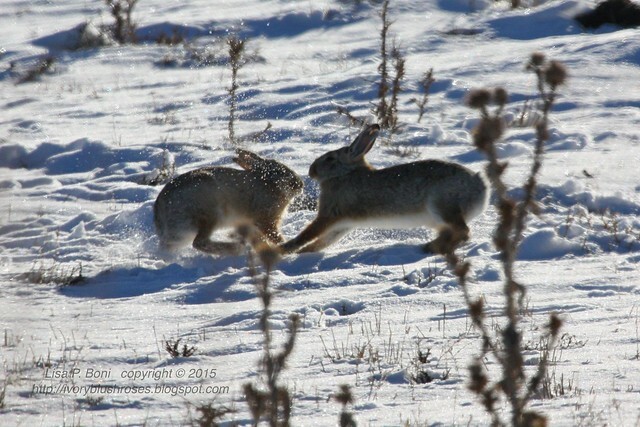 Nearby, I watched this pair of cottontails leaping and dancing around one another! They went on and on for the longest time, till at last they went their separate ways. I so wish that my camera had been able to do video as it was something to watch them bouncing way up into the air, under and over one another! 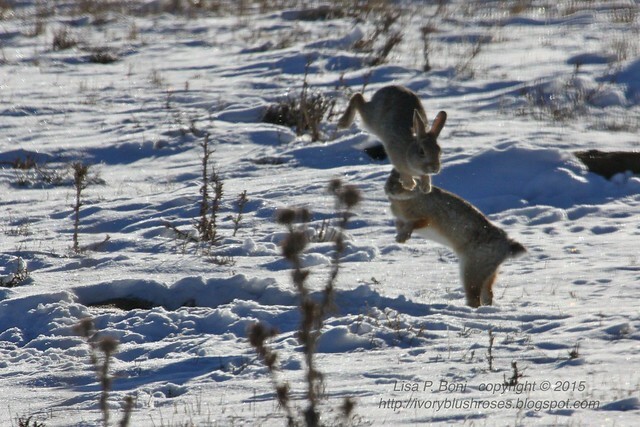 While it looked like a wonderful dance of fun, I suspect that it was actually more of a territorial dispute! Witnessing this was definitely was the highlight of my week so far! 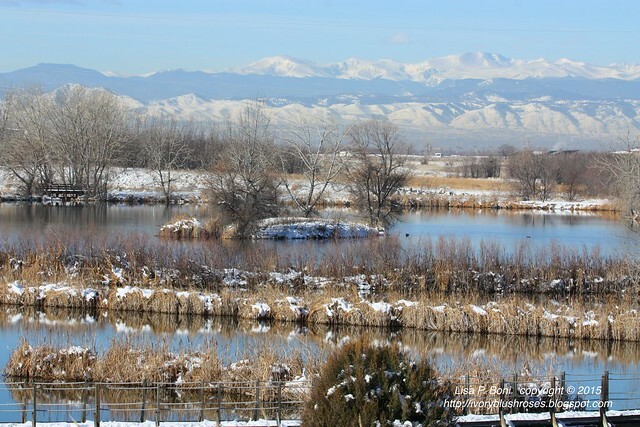 What a delight to discover this large natural area so close to Denver and just a few short minutes off my usual path home! It has been a wonderful way to unwind from the stresses of work before I head home for the rest of the week! 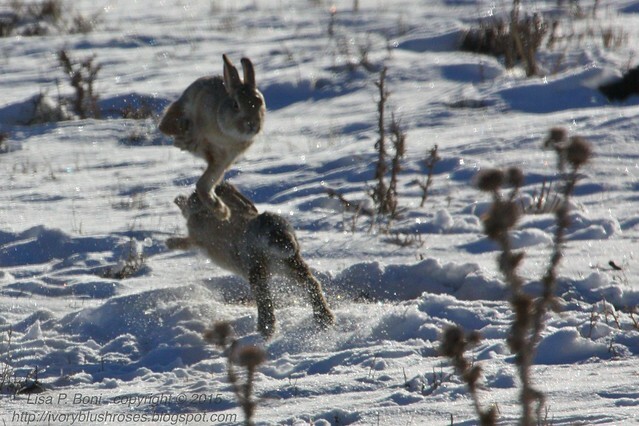 Oh, the shots of the rabbits are wonderful, and so glad you found this natural spot to visit. 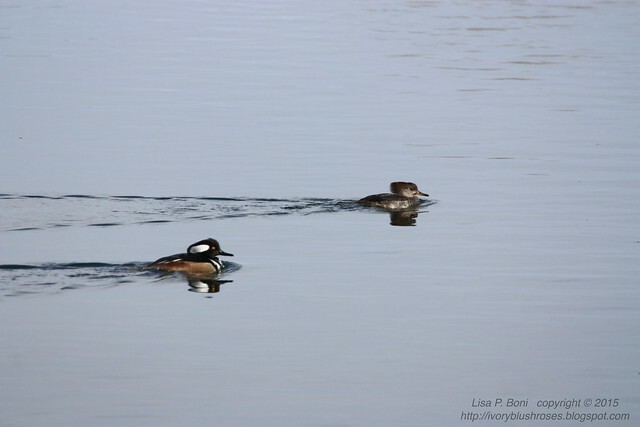 The Hooded Mergansers are very cool! Such dramatic feathering. I love them. Oh my gosh! What beauty!!!! 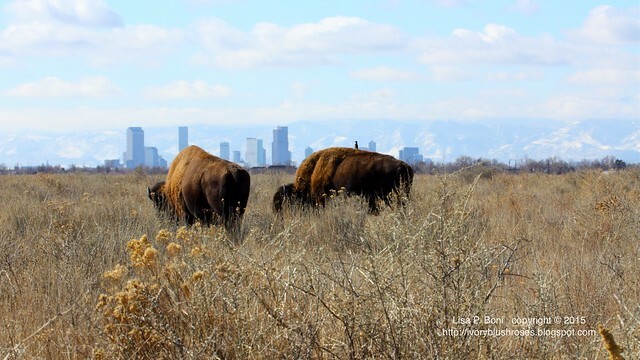 I loved seeing the buffalo with the city in the distance. 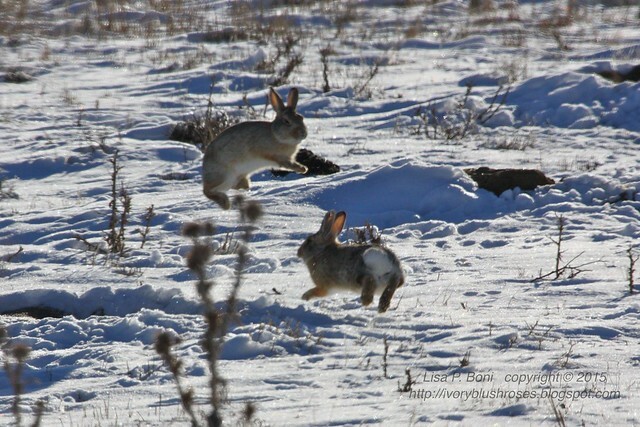 The bunnies were a real treat! You captured them well.